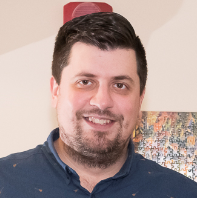 With the release rhythm of SCCM and latest requirements on the OS and SQL side, sometimes, it’s inevitable to migrate to a newer operating system to remain under support and also gain new features as part of the latest SCCM Current Branch release. Over the years, we’ve done many migrations of all kinds, depending on the environment and needs. 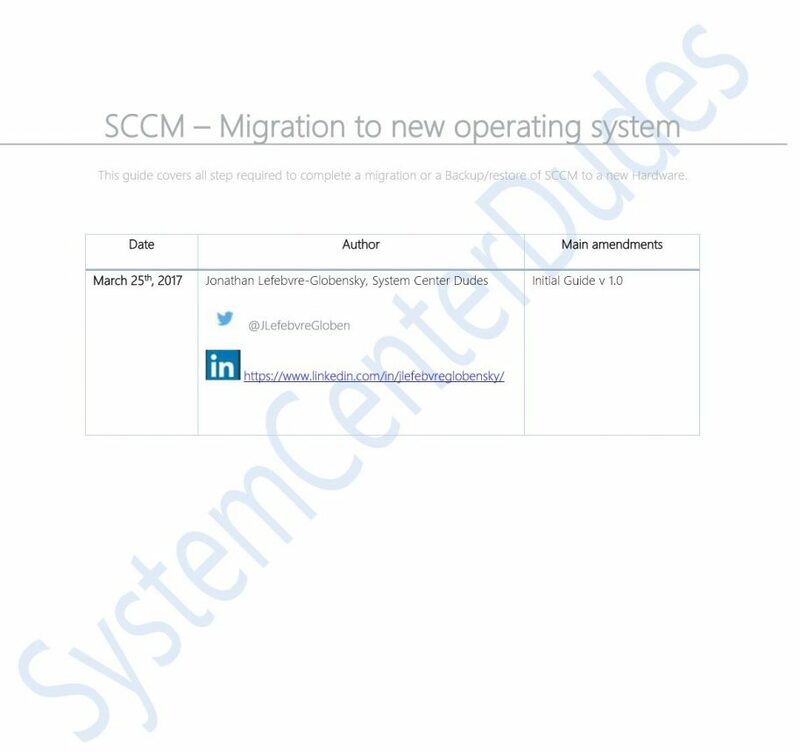 We created this complete SCCM Migration to new operating system guide based on our knowledge and experience. This guide is a refreshed version of our previous post about Side-by-Side Migration to new Hardware. It also includes answers and how-to to the most commonly asked questions on side-by-side migration. Also included: all the details to achieve the migration to a new operating system by using the Backup and Restore strategy. 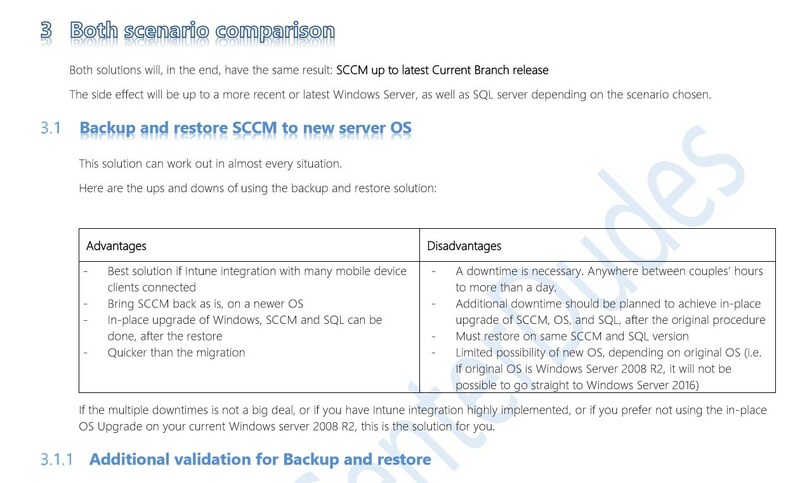 This guide aims to help SCCM administrator evaluate, plan, understand and achieve a migration to a newer operating system for the SCCM site server. 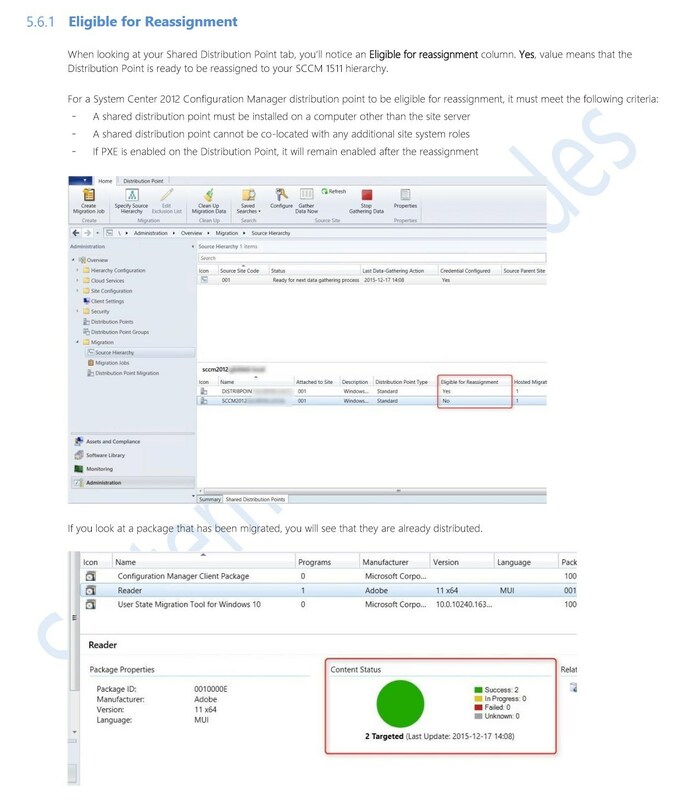 Download and own the latest version of SCCM Migration to new Hardware in a single PDF file. 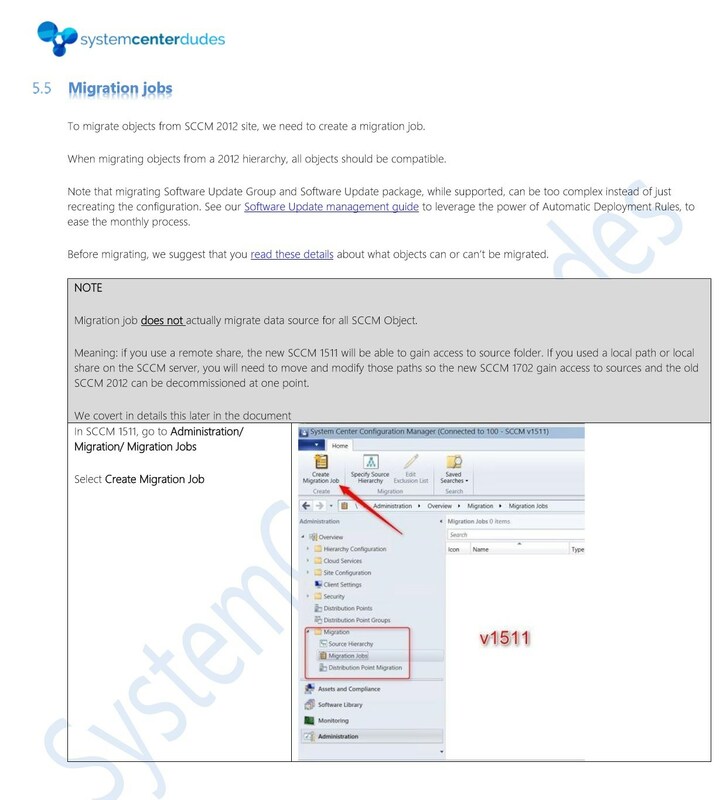 The PDF file is a 62 pages document that contains all information to help SCCM administrator evaluate, plan, understand and achieve a migration to a newer operating system for the SCCM site server. Use our products page or use the button below to download it. Will this guide be available for free at some point ? currently i have a SystenCenter 2012R2 (5.0.7958.1604, standalone) on Win Server 2008R2, and the sql server is 2013 version, could i upgrade it to 1711 directly ? 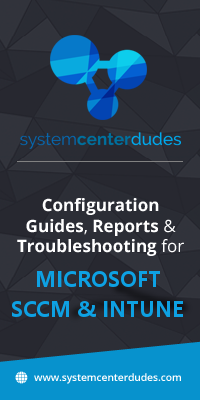 i plan install a 1711 on Server 2012 or 2016 and then migration currently environment to new one, could this guide help me to finish this job? thank you ! Thanks for sharing the whole process in a much understandable way. This clear and straight way of analyzing and evaluating technology whether old or new. I am an experienced entrepreneurial trainer. Really great information. I appreciate your extraordinary work towards your customers.